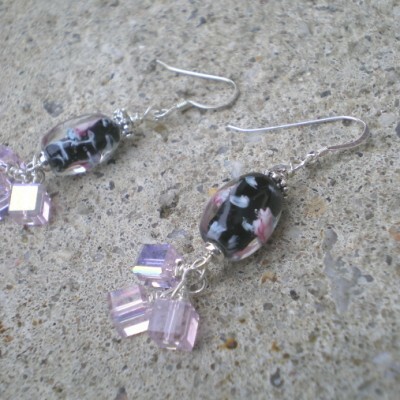 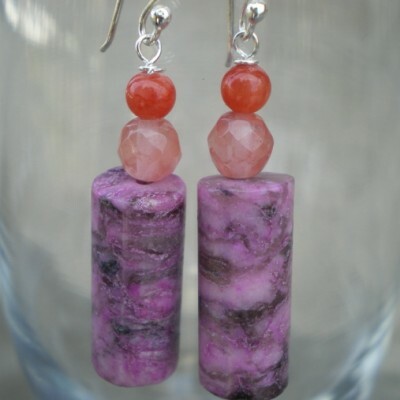 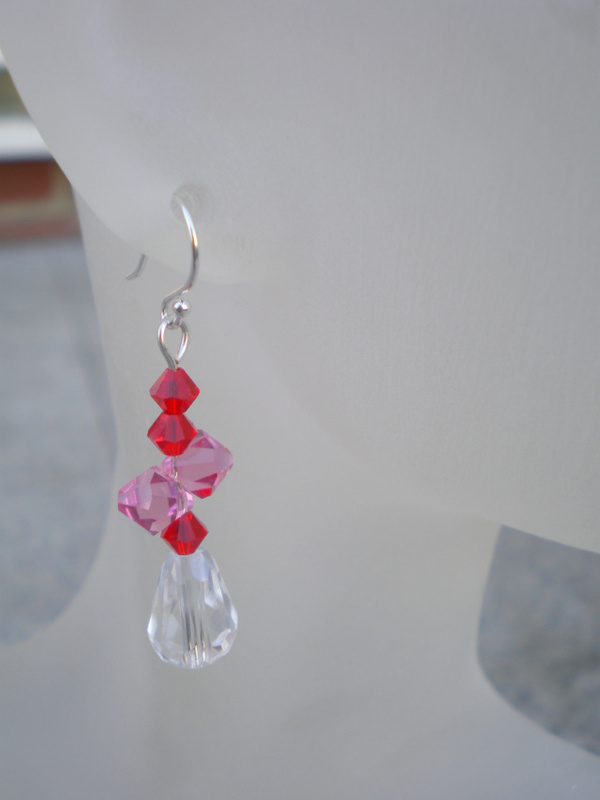 1 1/2″ Long earrings, crystal tear drop with pink top drilled swarovski crystals and red swarovski crystal bicone beads. 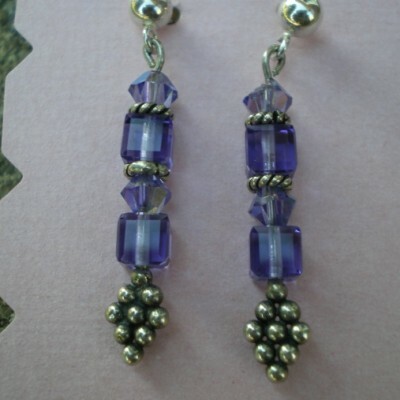 Sterling silver ball ear wires. 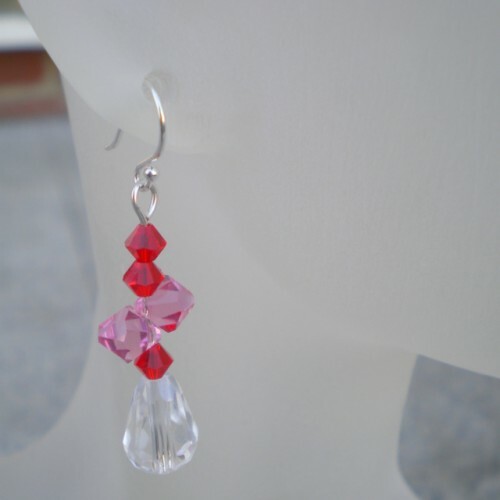 Be the first to review “Crystal Teardrop Earrings” Click here to cancel reply.